As never before, photographers and image licensing entities have stood united against the unauthorized use of their images. In recent years, the number of copyright infringement lawsuits initiated by photographers has increased significantly. 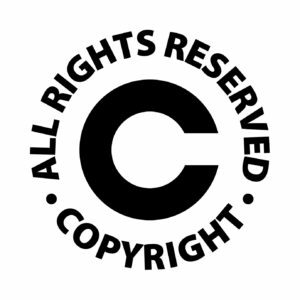 There are many reasons for the boost in copyright infringement lawsuits. Availability of monitoring services, the vast number of websites displaying content, the ease in which someone can download content from the internet, and the fact that people have been led to believe that whatever they find on the internet is free for the taking. Not the least of which a plethora of litigation thriving lawyers who seek out opportunities to sue. What to do if you receive a Demand Letter. Here are some things to consider, if you have received a demand letter aka cease and desist, take it seriously from the outset. Contact a competent copyright lawyer to help you evaluate the strength of their cases and whatever possible defenses you might have. But the bottom line, even if you ultimately prevail, the time, energy, and money you will spend will take you away from your primary purpose— running a successful business. While it is easy to download an image from Bing, Yahoo, or Google, it is best to pay for what you want. Securing a license is easy and inexpensive and definitely cheaper than defending a lawsuit. THINK Protection! Avoid Being Sued! I’m Attorney Francine Ward. Join my conversation on my Law Facebook Page, Law Twitter Page, Google+ Page, LinkedIn.